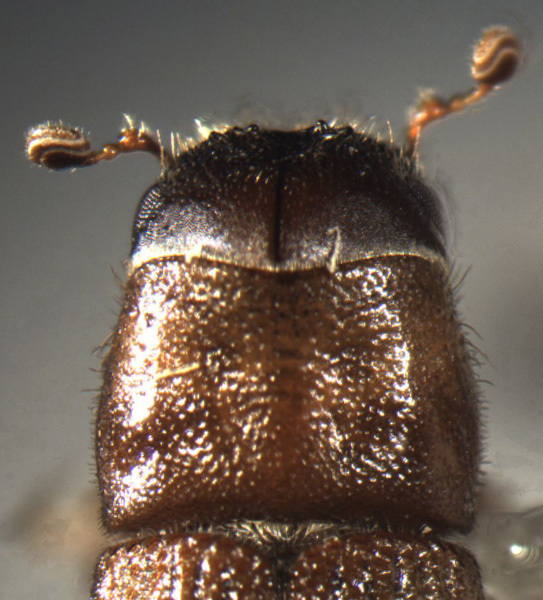 Earlier authors (Wood) place bark beetles in a distinct family (Scolytididae) and treat Hylesinae as a subfamily. Several recent authors (Arnett et al.) 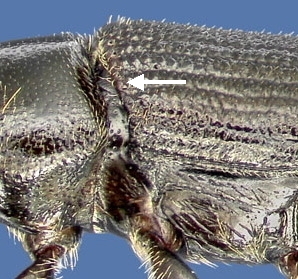 group bark beetles among the weevil family (Cucurlionidae) and place bark beetles as a subfamily (Scolytinae). This group of bark beetles is further divided into two smaller groups called tribes. 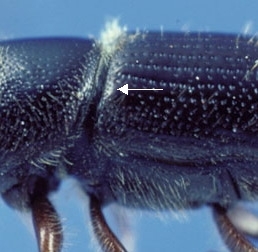 The two tribes of bark beetles are now listed as Hylesinini and Scolytini. In earlier literature, the first group has been loosely described as engravers that live beneath the bark and mine galleries in the phloem region of the wood. The second group has been loosely decribed as ambrosia beetles that bore into the hardwood and feed on ambrosia fungi that they cultivate. However, ecological strategies and common names for beetles in these tribes are rarely correlated with their classifications. For this tool, these beetles are in the family Curculionidae, subfamily scolytinae, and tribes hylesinini and scolytini. You will be asked from the beginning to determine which tribe you have based on the following two characters that separate the tribes. Hylesines can be distinguished from Scolytines by a definite raised edge along the anterior margin of the elytra that is armed with a series of crenulations. The head is usually visible when viewed from above. 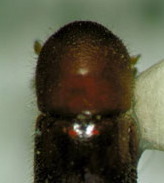 Scolytines have a smooth or rounded anterior margin of the elytra and the head is largely or entirely concealed below the pronotum when viewed from above. 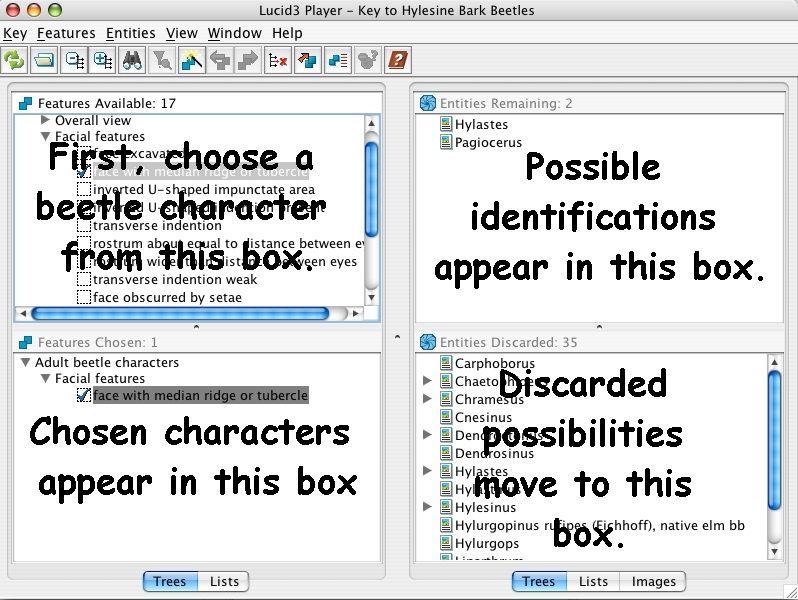 If you are unfamiliar with Lucid tools, they work as indicated below. 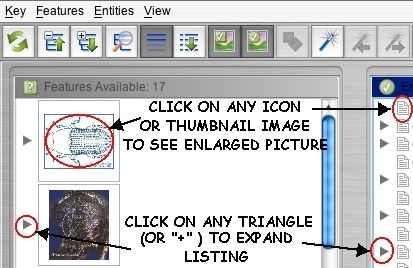 When you start the tool, you will see a page with four boxes as below. 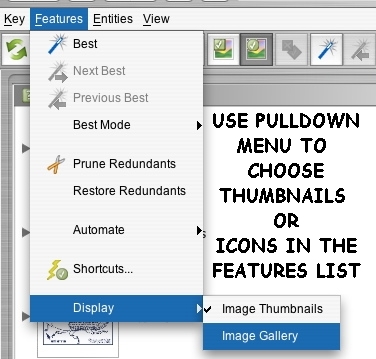 Continue choosing beetle features until only one possibility remains in the box at the top right . 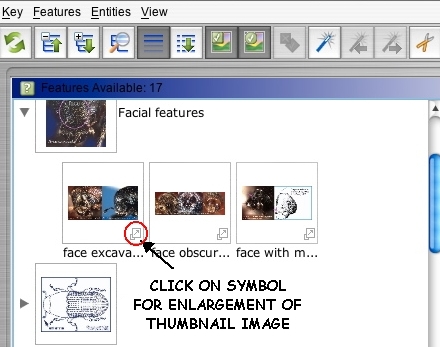 You may click on icons in the boxes for more information, enlarged photos, or fact sheets. You may need to unblock pop-ups on your browser!